The role of a financial officer has expanded in today’s evolving and competitive global economy. It demands a dynamic blend of financial expertise, strategic thinking, and leadership skills. Individuals looking to be successful in the world of finance will need to develop an exceptional business acumen through a combination of knowledge and experience, along with leadership qualities. Earning a Master’s of Business Administration (MBA) in Finance is a great place to start in building and refining these skills. What leadership qualities does a career in finance and business require? Leadership skills include the ability to communicate well and motivate and inspire others. Business leaders must also possess the emotional intelligence to empathize and relate to others. These traits are often referred to as “soft skills” due to their non-technical nature. A methodological field like finance needs a good blend of technical and soft skills in its leaders. According to Inc., executives devoid of “soft skills” such as empathy, humility, and self-awareness may find it hard to grow in their careers. Leadership skills can often be neglected in favor of quantitative skills which, while impressive and required in finance, are one small piece of the puzzle of how to be successful in the corporate world. Developing both skill sets can be a challenge as finance is a highly technical field, but unfortunately, those who do not seek to develop their leadership skills in conjunction with their technical skills will be held back in the area. Working on both skill sets in tandem can also help you better recognize how they are so closely interrelated. To hone your leadership skills in a way that utilizes your finance skills, you could teach at a local community college or mentor young people in the business field. Volunteering your time on a nonprofit board could also help improve your leadership skills, as many charitable organizations look for a numerically-minded person to complete their teams. Many companies also offer leadership training to their employees. The increasingly strict financial regulations in business have necessitated the demand for finance majors. Companies hire finance consultants to advise them on both strategic and tactical aspects of business finance. Those seeking to combine their leadership and finance skills often choose to become consultants. They analyze a company’s performance and suggest corporate improvements. Develop a holistic view of risk by looking beyond financial risk alone to include risks like reputation and market flux. Invest recruiting top talent and retaining current employees. Be strategic in applying Big Data solutions to problems. Be able to tell a story with the data. This requires excellent communication skills. People who have excellent financial skills and leadership qualities can wear many hats. They have the technical know-how to set a vision for a company. They also have the communication skills to empower and motivate employees to work as a cohesive team. If you are seeking a career in business, consider an MBA from a top-ranked school that enhances both your financial and leadership skills. 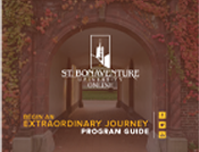 St. Bonaventure University offers a fully online MBA with concentration in Finance that provides students with the insights and tools to make strategic financial and business decisions. St. Bonaventure also offers the online MBA with concentrations in Accounting, Business Analytics, and Marketing that provides students with the right skills and tools you need to advance in your career.